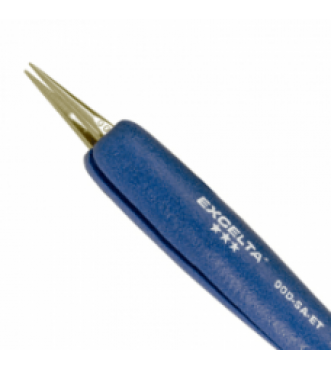 Excelta Stainless Steel Straight Tweezer 3 Star - 5.25-in. 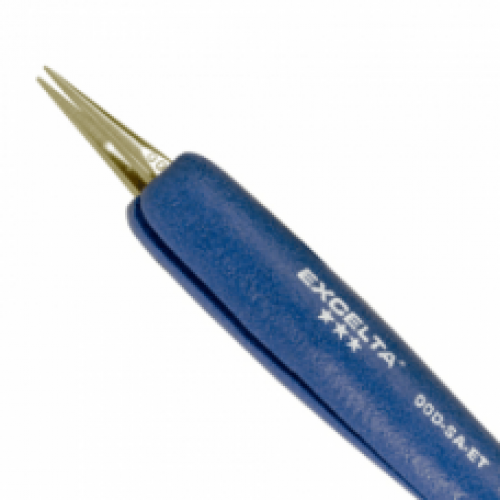 The 00D-SA-ET straight strong medium pointed tweezer is the most popular general purpose tweezer used without magnification. It is made of stainless steel and is anti-magnetic. It features serrated tips for better control. The Ergo-Tweeze® soft cushioned ESD safe (10¹⁰ ohms/sq) grips make it much more ergonomic. The overall length is 5.25".